Forced to respond to global call to end selfies with sun bear mother and cub, Indonesian facility highlights lack of legislation, while government hints at review of current laws. Less than a week after Animals Asia launched a campaign urging the True Bali Experience Elephant Camp to stop forcing sun bear Ajib and her cub Marsha to pose for selfies with Western tourists, the facility has made its first comments on the global call for action. More than 11,000 people around the world have signed Animals Asia’s petition appealing for an end to all wild animal selfies and interactions with the public at the camp on the popular Indonesian island of Bali. The petition also calls on the camp to improve Ajib and Marsha’s welfare - with the help of Animals Asia - by giving them outdoor access at all times and developing programmes to allow them to forage, play and act as they would in the wild. 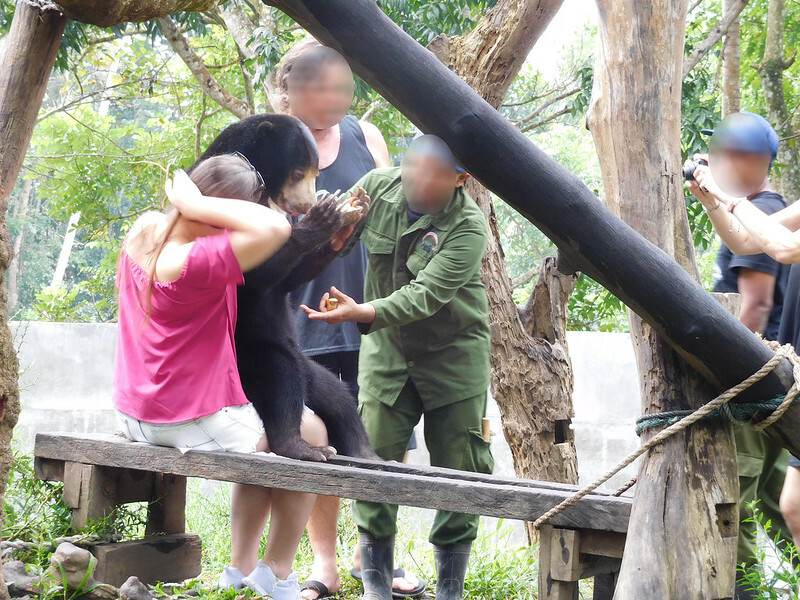 Defending the treatment of the bears, the founder of the True Bali Experience complex said the facility was ready to stop the selfies with Ajib and Marsha - if the authorities issued a directive banning animals from being used as photo props. The report also quoted the senior official in charge of the conservation of natural resources and ecosystems at the Ministry of Environment and Forestry as acknowledging the importance of animal welfare and animal rights, and that a review of current laws was being considered. "I will undertake an evaluation of such practices and carry out consultations with the public to gather technical guidance on this animal activity, and ensure there will be clarity. Now there is no clarity as to which activities are allowed and which are not". Animals Asia launched its campaign after Indonesian partner Scorpion Foundation filmed 12-year-old Ajib and seven-month-old Marsha being manhandled for selfies at the camp, which also heavily markets elephant rides for tourists. Animals Asia had offered animal management advice to the True Bali Experience Elephant Camp in June this year to help them improve living conditions for Ajib, Marsha and a third male bear at the facility. But when Animals Asia insisted that interactions with tourists end, the facility broke off communications. “The response from the True Bali Experience highlights the critical importance of stricter legislation to end this cruelty. Facilities exploit wild animals to feed this insatiable international craze for selfies simply because they can. There are no laws to stop them. “Imagine what would happen if there were and the strong message it would send from the very highest echelons of government. Imagine the difference that would make to Ajib, Marsha and countless other animals who have no choice but to submit to being poked, prodded and held against their will all day every day.